How to enjoy your last night of freedom in style! Walking down the aisle soon? It's time to party hard before the big day! We have limos for bachelor parties, bachelorette parties or a joint affair! Make all the moments memorable with easy and unique transportation. This is also a great way to make it safe and let everyone participate in the evening’s enjoyment. 1. Party hard…responsibly. Avoid the hassle of tagging someone as designated driver and allow all your groomsmen or bridesmaids to let loose ahead of the wedding. 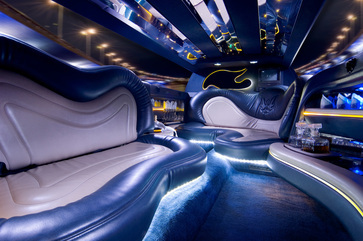 Having a private chauffer is the ultimate in luxury and style and is guaranteed to take the night to the next level. 2. Great with guests from out of town. If it’s a destination wedding in Gainesville, or you just have lots of family and friends arriving from afar, limos make getting around hassle-free. This is also a great way to keep a large group together, if you and your partner-to-be are having a joint bachelor/bachelorette bash. 3. Amazing atmosphere! All of our stretch limos and classic limousines are equipped with sound systems, plush leather seats, and great entertainment. Get the party started before you even depart the driveway with a Gainesville limo rental.